Perhaps feeling some heat as a result of recent events, UFO fraud Tyler Glockner released a video on his Secureteam 10 YouTube channel that seeks to appeal to his audience as “family” – because nothing says familial affection like lying to them for profit. Dripping with fake sincerity, the piece is a montage of images and video sent in by his unsuspecting fans displaying his stickers and t-shirts, and in one case a poor sod who appears to have spent the better part of an afternoon-evening setting up and knocking down a domino mosaic of the Secureteam logo. 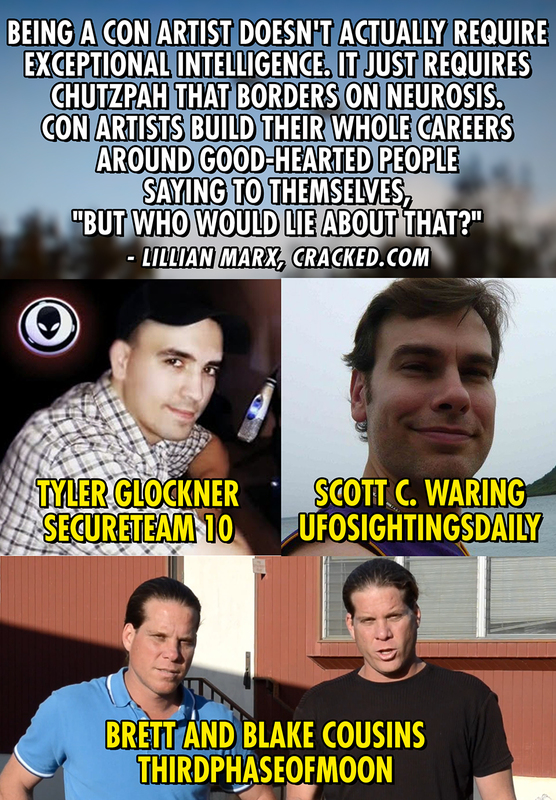 UFO Theater responded with an annotated version, providing a couple of examples of Secureteam’s made-up scenarios, and highlighting Glockner’s income from YouTube, as well as secrecy about income from his Patreon donation account. The most horrifying part of the Secureteam love-fest had to be edited out, because it was unbearable: footage of various 2 to 4 year old children wearing Secureteam gear and generally being exposed to Secureteam nonsense on phones and computer screens. It’s depressing to think of parents passing on the practice of blindly assimilating misinformation from one of the worst possible sources when there’s a wake up call just a few clicks away. The latest news on Tyler Glockner, producer of the Secureteam 10 UFO hoax channel on YouTube with over 800,000 subscribers, is not good. Glockner was recently shocked to discover that his earnings may be cut as a result of YouTube’s new monetization policies. But Tyler will not see his lavish ill-gotten income diminished, no sir! He’s now appealing directly to his subscribers for support. According to this article in Forbes, YouTube is demonetizing videos that are not considered “advertiser friendly,” and it appears Secureteam 10 videos fall into this category. This is not surprising, as YouTube and its advertisers are staffed with functioning adults who have some critical ability. 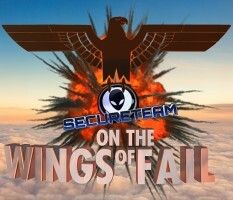 They are in contrast to the majority of Secureteam 10 followers, as evidenced by the fans’ comments on UFO Theater’s debunking video The Wings of Fail. Will YouTube reverse its new policy? Hopefully not anytime soon. Now Glockner has started a Patreon account to accept donations, but doesn’t disclose the amount of money he’s being given as others do. He probably has a sense that his YouTube subscribers don’t realize that, with the help of free publicity from the tabloid press, he makes in excess of $300,000 a year creating UFO hoaxes and spinning trending news stories into an alternate reality. The upside to the monetization shakeup is Secureteam 10’s viewership has started naively appealing to the wider UFO community for support. As a result, once outside the information vacuum surrounding the YouTube channel, they are exposed to the awful truth. Many cannot easily absorb it. The UFO Theater debunk playlist – demonstrates how Secureteam 10 creates UFO videos using visual effects, an receives help and publicity from tabloid news sites. The Dazzathecameraman debunk playlist – Highlight: Dazza, aka astronomer Dave Greg, exposes how Tyler Glockner created and impersonated an informant he called “Ken the Astronomer” and clumsily Photoshopped an image of Neptune behind Saturn, claiming it was a new planet entering the solar system. 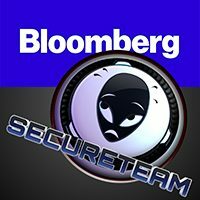 This thread on Metabunk.org details how Secureteam exploits data errors in Google Moon to claim there are towers on the moon. May 6, 2017: Secureteam claims there are “BIZARRE Markings of Fish Caught In Phillipines” and is swiftly debunked by, well, many sources. May 13, 2017: With the help of hoaxer Streetcap1, Secureteam knowingly misrepresents a lens flare as an “alien disc caught on space station live feed,” cropping and rotating the video to make it harder to find the NASA source footage. May 19, 2017: Secureteam uses stolen footage from (Kaschuba Brothers) hoax channel xxxdonutzxxx as part of a video about “strange reflections detected on Earth”, which of course, have already been explained. June 23, 2017: Unconcerned with wasting his viewers’ time, Tyler creates an episode titled “WHAT Did This Photographer Snap Above Him?” that features a mylar sun-shaped balloon. July 17, 2017: Not too proud to stoop to the lowest levels, Secureteam uses the same 3-year-old space shuttle photo of lens reflections exploited by hoaxers Thirdphaseofmoon, a YouTube channel often referred to by, ironically, Secureteam fans as an example of a “real” hoax operation. Scott Brando debunks Secureteam 10 videos on a weekly basis. Follow his Twitter feed here. A former fan of Secureteam 10 sees the light. Have a relevant link to share? Add in comments. In August of 2014 when I created the original Secureteam 10 Speedebunking episode, it was an attempt to prevent a laughably simplistic hoax channel from becoming a huge waste of time. However, with the help of some high profile web sites trying to ride the Fake Train to Viraltown, it has become exactly that. While Tyler Glockner doesn’t have technical chops, he seemed to put a lot of work into window dressing: titles, logos, little audio effects, a gear store. In fact, the stylistic effort probably took more time than the videos themselves, poorly Photoshopping UFOs into backgrounds or simply fading them into view in a video. It seems Tyler’s style appealed to worst-of-the-worst tabloid “journalist” Jon Austin of the Express UK, who decided to become an honorary member of the Secureteam. This, along with the hoax channel’s burgeoning subscriber numbers, warranted a more robust response. Hope you enjoy and share. 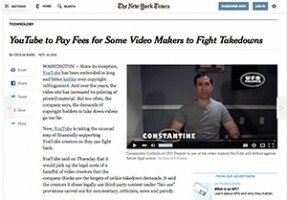 November 19, 2015: Today’s New York Times tech policy column featured an article on YouTube’s new Fair Use Initiative which seeks to defend creators from unwarranted copyright infringement complaints. All the attention has been rather strange, but a good kind of strange. It all started back in September 2014 (see Copyright Theater) when I received a copyright notice initiated by Secureteam 10. Then immediately after two more were registered by LookNowTV, who I had embarrassed in both the first two episodes. Until these were resolved my channel was taken offline, and UFO Theater temporarily moved to Vimeo. While on Vimeo I posted Speedebunking: Mister UFO/Mister Enigma, which led to this exchange with the hoaxer himself, Robert Simmons of La Crosse, Wisconsin. He had the video temporarily removed from Vimeo. When UFO Theater was up and running on YouTube again he tried the same nuisance tactic there in November 2014. Neither of us had any idea what he would set in motion. It wasn’t until June of 2015 that I was contacted by YouTube (I’m sure their inaction on Simmons’ complaint was driving him mad), explaining that they had received the notice from Mister Enigma but “selected one of your videos as a candidate for a new effort that protects some of the very best examples of ‘fair use‘ from copyright takedown requests.” I assumed this meant I would be one of perhaps a few dozen creators chosen. I was absolutely shocked when I discovered I was one of only four in the entirety of YouTube. I imagine the odds are something akin to winning the lottery. I’ve probably not received a tenth of the copyright grief and harassment endured by the other three producers, but there I am, the only one quoted in the article, and a big ol’ flattering screen capture. Maybe I’m the only one Ms. Kang could reach for the story. After seeing UFO hoaxes go viral week after week when they’re promoted by British tabloids, particularly the Express, it’s nice to get some notice for UFO Theater’s perspective. More episodes coming soon. So an unexpected thing happened: after three weeks the UFO Theater Youtube channel is back online– sort of. This was based on Youtube vindicating us in a copyright dispute instigated by UFO hoax channel Secureteam 10. However. UFO Theater Episodes 1 and 2 remain offline until a similar dispute with hoax channel Looknowtv can be resolved. Each copyright complaint is considered a “strike” against your Youtube account; three strikes and your channel is taken down. You can respond to the complaints, but the strikes remain until the disputes are resolved. When Secureteam 10 made their initial complaint, we responded immediately and waited for a resolution. However, two days later Looknowtv complained about two videos, UFO Theater Episodes 1 and 2, in which we exposed a few of their UFO video clips as fakes. This added up to three strikes, because none had yet been resolved. 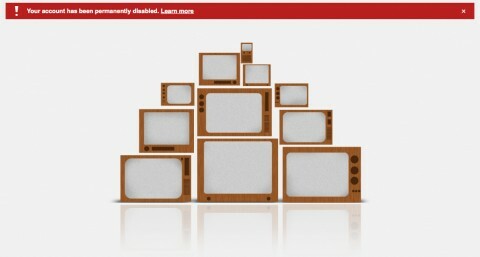 But here’s the rub: when the channel is taken down, so is the account. We could not even browse Youtube as UFO Theater, and even worse, the links for providing a counter-notification (response to the complaint) are only provided within the channel. There was no email informing us “hey, we took your channel down, here’s why, and here’s what you can do about it.” Just… nothing. Had we not responded to the Secureteam 10 complaint immediately, there would have been no chance to get the channel back online. Luckily that dispute was found in our favor, and we now have the opportunity to respond to the Looknowtv complaints. This is a glaring problem with Youtube’s dispute system, and needs to be changed. It creates a catch-22 in which you need to respond to a complaint to get your channel back up, but first get your channel back up to respond to the complaint. I’ve read stories from other Youtube creators on reddit who have had massive channels disappear overnight for this and other reasons, with no recourse because the channel was nuked with no notice or explanation. 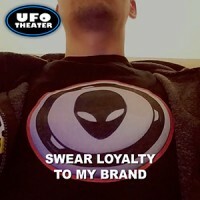 We can only hope that once the other disputes are resolved UFO Theater will be bulletproof, but we’re not counting on it. Everything will continue to be mirrored on Vimeo from now on. We will remain a problem for hoaxers for the forseeable future. I’m currently engaged in a chess match with UFO hoaxers, who appear to be displeased with the way they’re being portrayed by UFO Theater. In order to keep their handiwork from being debunked, they’ve used the only means available to them: claim copyright infringement. In doing so, they’re activating video host’s reflexive response to have the video removed while the dispute is resolved. They’ve pursued the issue with Youtube and Vimeo. It’s difficult to predict what either Youtube or Vimeo will do with the claims, which I’ve rebutted by explaining how inclusion of the hoaxer’s video is Fair Use, for purposes of education, criticism, and parody. These services have no obligation to rely on U.S. copyright law, and can follow their own rules. 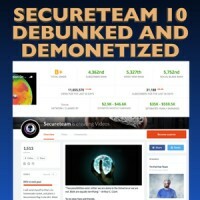 Secureteam 10 made a copyright complaint that I was able to see from channel creator Tyler Glockner, in which he asserted I simply re-uploaded his entire video. What? I’m not sure how that can be allowed to stand, being that it’s patently false, and the fact that most of the video was footage from the International Space Station feed (NASA footage is public domain) to which he added a flying saucer. A day later the entire UFO Theater channel and account was taken down without notice, citing “multiple copyright violations” without providing me with the additional complaints or who made them. I’ve been judged guilty and sentenced without having the charges explained, the benefit of a trial, or being able to face my accuser(s). The upside is that as far as I can determine, UFO Theater has had some influence, since hoaxers have decided it’s worth having removed. Thirdphaseofmoon in particular has been much more careful about their hoaxes, moving from visual effects (computer generated imagery) to practical effects (photographing and videotaping actual physical objects) and misrepresenting the result. A good example of this is their “Cigar Shaped UFO Over Napa” that looks like it may be a real object, but they hide all context by only providing three seconds of video, zoomed in and heavily filtered. They spend most of the time polishing their turd with an “interview” with the person who supposedly shot the video. Based on conversations with several people who have more Youtube experience, the video should be reinstated to that platform, but with the odd deletion of the account with no justification, it’s hard to say. It also may be possible that if videos are reinstated to either platform, the hoaxers may have the ability to simply submit a chain of complaints, one after the other, that keep UFO Theater in permanent limbo. Obviously based on my limited experience, I don’t have much faith in either Youtube or Vimeo. I’ll be exploring yet more third party solutions, but may end up finding a way to run the video off my own server. If nothing else, this has all provided a lot of creative inspiration for some new videos that will hit the hoaxers even harder, and provide a lot of entertainment. Stay tuned. Originally on Youtube, this was removed today because Securteteam 10 made a complaint that the video violated their copyright. Use of their footage and logo are clearly allowed under Fair Use (criticism, parody). This debunking includes their video “BUSTED! NASA EDITS GIANT SAUCER UFOS ABOVE EARTH IN LIVE FEED” in which they state “Secureteam continues to raise the bar and lead the pack in both groundbreaking new discoveries and reputable underground news reporting.” Really? Then why so scared of us, sport? UPDATE 8/28/2014: Secureteam 10 made a claim of “copyright infringement” against the video, and as a result Youtube has removed it according to policy in copyright disputes. It is perfectly legal to use portions of copyrighted works for criticism or parody (known as Fair Use), but Youtube has its own guidelines regarding copyright. I was sent a notice of the claim via email, which I rebutted, but a day later the entire UFO Theater channel was removed without notice, and Youtube has been unresponsive so far. I have moved everything to Vimeo, regardless of what Youtube decides. On the upside, this has inspired a brand new parody, coming soon.